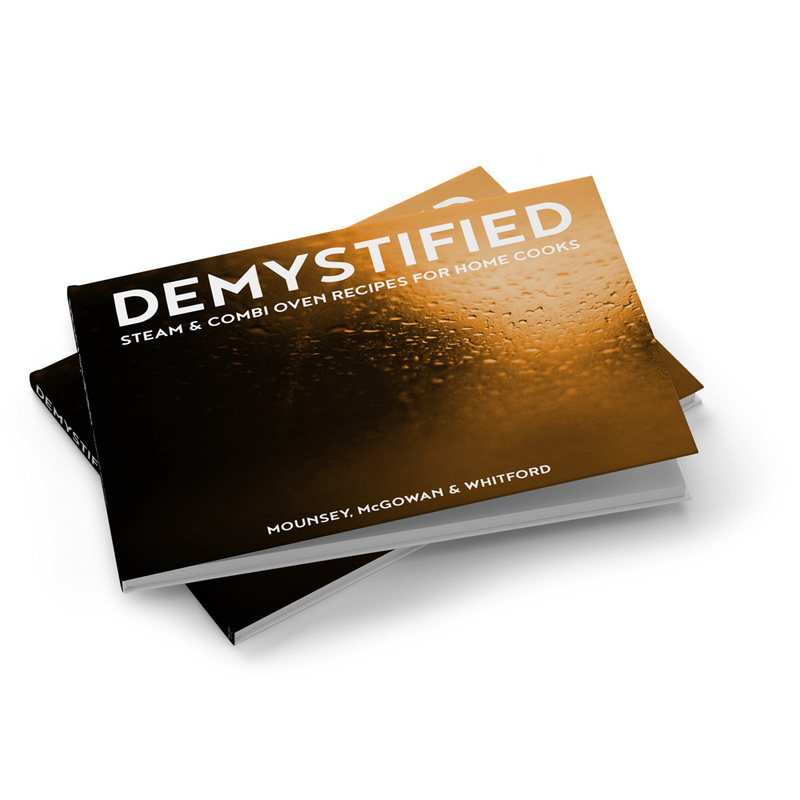 DEMYSTIFIED - NOW AVAILABLE TO ORDER! Demystified covers basic dishes through to advanced dishes using straight-forward language with all focus being on time and temperature! 90+ recipes spanning 220+ pages. IMPORTANT! If using the Checkout with Paypal (express checkout) button, shipping fees will be applied to your order during the payment process. Shipping fees will be visible PRIOR to you confirming you order. ‘Demystified – Steam & Combi Oven Recipes for Home Cooks’ is the first installment of ‘in-print’ recipes from the trio behind ‘Cooking with Steam’. Mounsey, McGowan & Whitford created the first digital space completely dedicated steam oven recipes & online video tutorials in 2014. From humble beginnings, the Cooking with Steam member website has evolved to become the largest resource for combi steam oven recipes online. During the course of testing recipes and food techniques in the home steam oven they experienced plenty of surprises. They’ve used these experiences to understand how to get the best out of any steam oven. ‘Demystified’ will enable you to learn from their successes and get the best out of your steam oven. Inside ‘Demystified’ you’ll find recipes that are based on classic techniques converted for steam oven cookery. It covers basic through to advanced dishes and does so using the two key principals of cooking – time and temperature. ‘Demystified’ is packed with recipes to inspire you to explore cooking with steam. The recipes are written using straight-forward language with all focus being on time and temperature – the key factors to determining the success of any cooked dish. DEMYSTIFIED is shipped globally using Australia Post. For Australian customers, the postage cost for DEMYSTIFIED is a flat rate $9.95 per book. $14.95 for 2 books, $19.95 for 3 books, etc. For International customers, the postage cost for DEMYSTIFIED is bloody ridiculous …and unfortunately there’s little we can do about it. All international postage rates are calculated on the checkout page after the destination address is entered. International customers… we’re sorry the price is so high.